Would you like training in finding resources, referencing and citations or other library related matters? Tuesdays & Thursdays from 13:00-13:30 in room L22 in the music library for first term only. 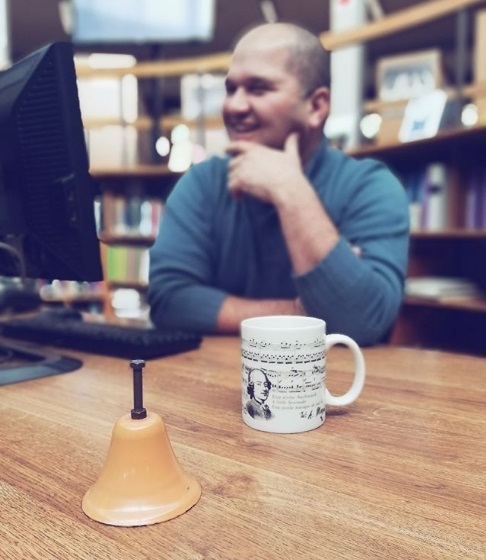 Welcome to the WH Bell Music Library at the University of Cape Town. This guide is designed to assist Music and Performing Arts students find useful information to make the most of the resources the library has to offer. Our users have access to an excellent collection of books about music and musicians, periodicals, reference sources, collected works of major composers, study and performance scores of music, sound and video recordings and electronic information resources that support the curriculum. The library staff are always available for help and training. UCT Managed Print Services (Xerox) is the copy and print vendor for UCT. The photocopy room is on the lower level. Please contact them should you encounter any problems with the photocopiers. Listening rooms (on the lower level) are equipped with CD players, LP turntables, cassette players, TV sets, DVD and/or VHS machines. Exchange your student card for a key at the music library circulation desk. If the item you are looking for is not listed in the UCT Libraries catalogue, you can submit an interlibrary loan request. Complete a request form (pink form) at the Circulation Desk. If you need assistance contact Shaheema Luckan (shaheema.luckan@uct.ac.za). The database, SACat, lists material in all major South African Libraries.